Abel Bosum attended the La Tuque Indian Residential School. He began working for the Cree Nation in 1978 focusing on economic development. From 1984-1998, he was Chief of the Oujé-Bougoumou Cree Nation. After his community’s many forced relocations, he led his people in planning and constructing an innovative new village. Oujé-Bougoumou received international recognition for its community development achievements. From 1999 to 2017, Abel was the Crees’ Negotiator for Cree-Québec relations. He led negotiations of a New Relationship Agreement between the Cree Nation and Québec which created a path for reconciliation. This Agreement established new standards for the recognition of Indigenous rights. Abel led negotiations of the Cree-Québec Governance Agreement which increased the Cree Nation’s role in the governance of much of northern Québec, resulted in greater jurisdiction of the Cree Nation over its traditional territory, and gave a voice to all residents of the territory. He has concluded agreements involving health, social services, forestry and mining. 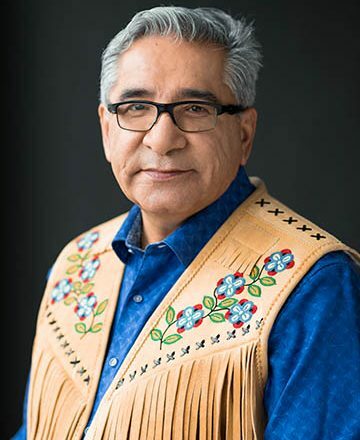 As President of the Aanischaaukamikw Foundation, he raised funds to construct the Aanischaaukamikw Cree Cultural Institute—an award-winning Cree museum. In 1998, Abel received Canada’s Aboriginal Achievement Award, and in 2016, an honorary Doctor of Civil Law degree from Bishop’s University. The Cree Nation elected Abel Bosum as Grand Chief in 2017.